NEW ALBUM “SMALL WORLD” ANNOUNCED! PREORDERS AVAILABLE NOW! My best work yet! I have put so much effort into this project and I know you will hear and appreciate it! 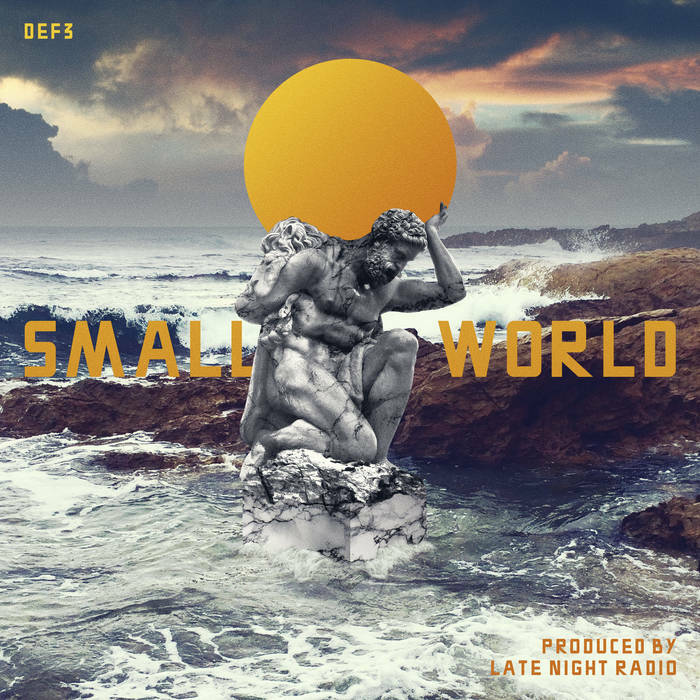 Small World is entirely produced by Late Night Radio and features a wide variety of hip hop heavyweight emcees including Del The Funky Homosapien, Masta Ace, Moka Only, Mystic, Dr. oOp, Probcause and more with DJ cuts from the likes of Skratch Bastid and JFB. Small World is a collection of songs and collaborations of friends and artists that I met during the past 10 years of touring, staying true to the album title. Head to www.urbnet.com/def3 to reserve your bundle now available on Vinyl, CD, Tape and all Digital retailers including iTunes, Spotify, Tidal, Google Play and more. The album will be dropping on Aug 4, 2017!